The Dockers have pulled ahead of their rivals, the 1984 Kangaroos! 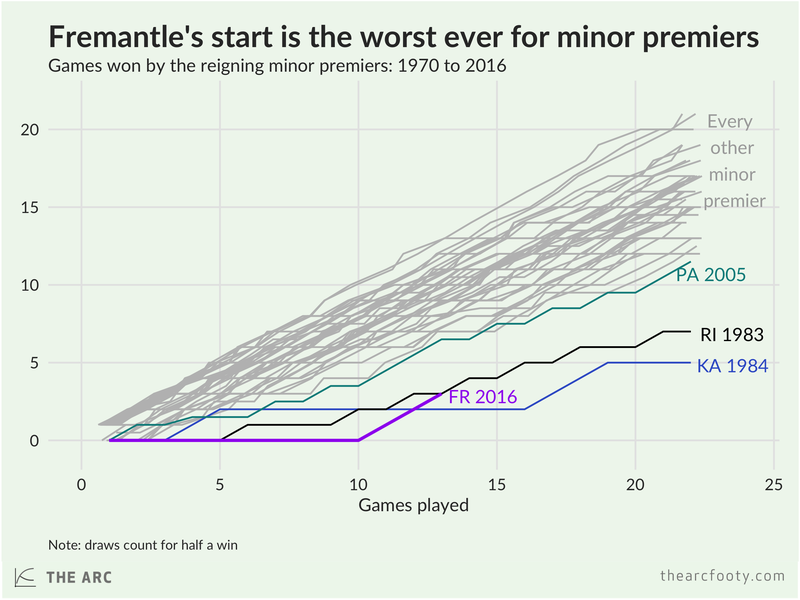 At this pace, Freo’s on track to have only the second or third worst season by a reigning minor premier in 119 years of AFL/VFL history, not the absolute worst. Way to go!